I thought I'd put aside the purely retro games for the moment and look towards the latest Steam Greenlight additions that may be worth your big thumbs up. One of those games is N94 Games, 'NIGHTHAW-X3000', which is a very frantic and non stop shoot em up that also takes its inspiration from the psychedelic 80's. 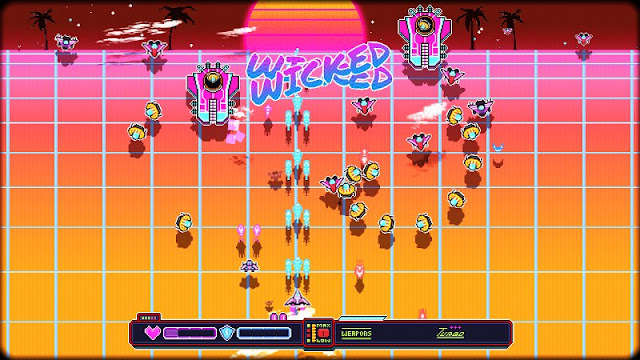 In their words " a stylish shmup with action hotter than the girls of Miami beach and visual style prettier than that of a VHS which was recorded once! ". 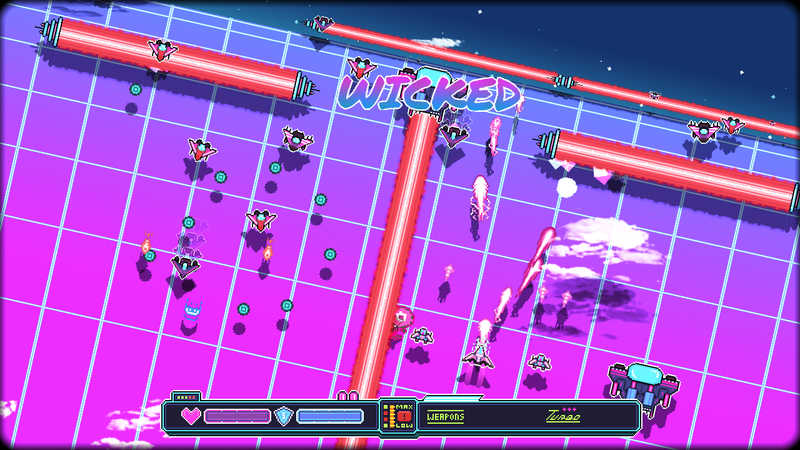 What makes NIGHTHAW-X3000 a rather unique shoot em up other than its trippy 80's look, which we mentioned earlier, but it has a rather interesting rolling matrix landscape with enemies appearing over the horizon that is sure to appeal to even the most hardy of enemy wave blasting purists. Furthermore it has a great soundtrack which really fits the experience, purchasable weaponry, ships and power ups, lots of levels, big bosses and even a single/co-op mode. Sure we get a lot of retro inspired games. But with the style of detail and gameplay this has, I for one am hoping NIGHTHAW-X3000 gets its Steam Greenlight success.